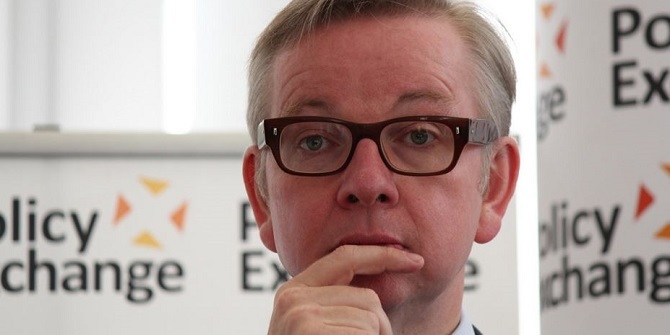 Secretary of State for Environment, Food and Rural Affairs Michael Gove has said that Britain should be ‘competing at the top’ in agricultural policy after Brexit, maintaining high animal welfare and environmental standards. Charlie Cadywould (Policy Network) argues that a race to the bottom is inevitable if the aims of hard Brexiters are to be realised. Michael Gove is a man who knows when to pick a fight, and when to make friends. Unlike his tenure in the Department for Education when he took on the ‘vested interests’ of the teachers’ unions and others to implement radical reforms to the education system, his time as Environment Secretary so far has been characterised by a surprisingly cosy relationship with environmental, animal welfare, and conservation pressure groups. Who’s going to supply the Basics range? The issue is that British agriculture’s post-Brexit future lies as much in the hands of Liam Fox as with Gove. A leaked Brexit impact assessment seen by Buzzfeed suggested that, unlike the rest of the economy, agriculture would not suffer if Britain defaulted to WTO terms. But that document, though the full details are yet to come out, most likely doesn’t take into account the political decisions that could be taken in such a scenario. To get the wider benefits of a hard Brexit, many Brexiteers are advocating a lowering of tariffs and a cutting of red tape. In this scenario, where the government agreed trade deals that led to lower quality food produced to lower environmental and welfare standards than the status quo, the “race to the bottom” would come whether British farmers were part of it or not. If farmers wanted to continue to be the main producer of food consumed in the UK, the government would have to allow them to lower their standards to cut costs too, and Gove’s supposed commitment to environmentalism and quality food would come crashing down pretty quickly. If not, there would still be a large domestic market for cheaper food like the Sainsbury’s Basics and Tesco Value ranges. Without subsidies guaranteed long term and without protection from countries with lower standards, British farmers would just be ceding the market to foreign imports. It seems optimistic to expect the domestic agriculture sector to make up the resulting income shortfall by exporting a bit more farmhouse Cheddar or a few more organic carrots to the rest of the world. Even if it could, through our national consumption we’d just be exporting environmental degradation, our carbon footprint, and poor animal welfare to the rest of the world. That’s the beauty of the single market: by being part of a large bloc with harmonised standards, not only can we trade with our closest partners on equal terms, we have the economic clout to hold out for higher standards of imports too, pushing up standards across the world. The other big question mark is how these ‘subsidies for public goods’ will be calculated. Are they going to be based on costs or income foregone for implementing the measures? Or is there to be a genuine attempt to quantify the environmental and other costs and benefits of different farming activities that hit society as a whole, and put a value on them? If it’s the latter, all power to the Secretary of State. But it’s a tough ask to put a value on more abstract goods like the retention of strong rural communities. Even more difficult is what to do about agricultural activities that are inherently very environmentally damaging – do we pay for mitigation or use the end of EU subsidies to discourage such activities? That would surely preclude any support for livestock farming, given its environmental impact. But I somehow doubt the government is leading Britain to the vegan utopia depicted in Simon Amstell’s Carnage. higher costs for consumers, lower productivity from producers, less pressure to husband scarce resources, less concern about sustainability, more rent-seeking and capital accumulation, less investment in innovation, less dynamism and ultimately, less security as others forge ahead. The problem is that agricultural activity, without real subsidy, is for the most part a loss-making enterprise in the UK. We can pay farmers to plant trees but if they can’t make a living from farming then they might soon stop bothering. And remember, our closest neighbours will still be subsidising their farmers through the Common Agricultural Policy, so unless Britain goes down the full protectionist route (tariffs, quotas, etc.) the scales will be tipped against our producers. Most likely, it will end up as a fudge. We’ll end up over-paying farmers for providing public goods as a back door to subsidising their farming. If they are high enough, there will still be an incentive to farm because some payments will be tied to specific farming practices – no tillage farming is one example cited by Gove. It wouldn’t be the worst outcome, but it hardly solves the problem of inefficiency that Gove is trying to solve with these changes. The Environment Secretary has bought himself some time and some goodwill for the time being. But as with the rest of Brexit, the big decisions are yet to come. Ultimately, the government will have to decide: is it willing to pay to keep a strong domestic agriculture sector, or is it willing to trade in the countryside for the sake of getting the trade deals it wants and needs so badly? 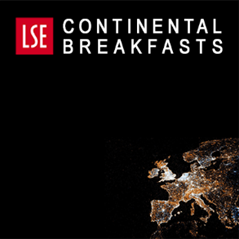 This post appeared originally on LSE British Politics and Policy. It draws on the author’s report The Future of Farming: UK Agriculture After Brexit. 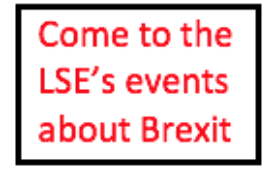 The post gives the views of the author, not the position of LSE Brexit or the London School of Economics. Charlie Cadywould is Senior Researcher at Policy Network.